This is called Obsidian. It is formed from molten lava that cools so quickly that it forms a natural glass instead of crystals. What kind of rock is it?. Yes! Igneous rocks formed from magma or lava. This is an igneous rock. No. Sedimentary rocks are deposited by wind, water, ice, or gravity, and they often contain fossils. This is not a sedimentary rock. No. Metamorphic rocks have been changed by heat and pressure from a different kind of rock. Instead of being changed, this got hot enough to completely melt, so it is not metamorphic. 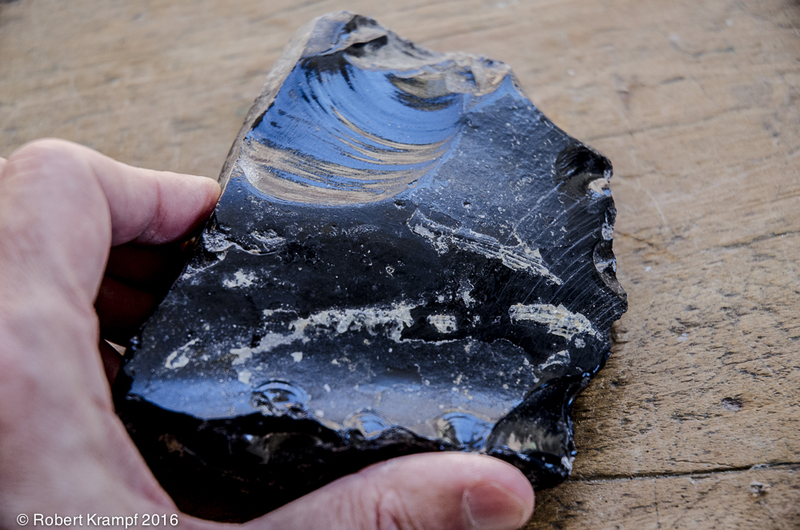 Obsidian is not a rock. No. Obsidian is a naturally occurring solid that forms large layers in the Earth. Obsidian is a rock. SC.4.E.6.1 Identify the three categories of rocks: igneous, (formed from molten rock); sedimentary (pieces of other rocks and fossilized organisms); and metamorphic (formed from heat and pressure). SC.7.E.6.2 Identify the patterns within the rock cycle and relate them to surface events (weathering and erosion) and sub-surface events (plate tectonics and mountain building). UT.4.III.1.a Describe the differences between minerals and rocks. 4-ESS1-1 Identify evidence from patterns in rock formations and fossils in rock layers to support an explanation for changes in a landscape over time. MS-ESS2-1 Develop a model to describe the cycling of Earth’s materials and the flow of energy that drives this process.